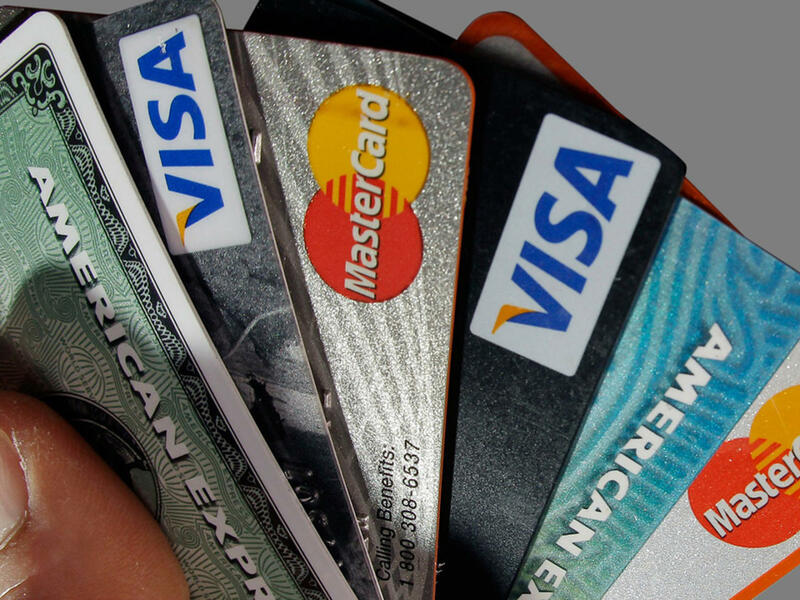 The number of Americans who can afford to pay off their credit cards continues to drop, according to a new survey. The survey by Bankrate.com found that only 51 percent of Americans have enough cash in their emergency accounts to clear themselves of credit card debt. That’s the lowest percentage since the firm began tracking the number in 2011. According to the survey, nearly 30 percent of Americans reported having more credit card debt than emergency savings -- the highest percentage in the past four years. Meanwhile, some 17 percent reported they had neither emergency savings nor credit card debt. This comes as the U.S. personal savings rate also continues to fall. “This is a reflection of the stagnant incomes, long-term unemployment and high household expenses that are hampering the financial progress of many Americans,” Greg McBride, Bankrate.com’s chief financial analyst, said in a statement. The overall personal savings rate has fallen even as Americans have increased their spending. According to the U.S. Department of Commerce, the U.S. personal savings rate fell to 4.2 percent in November of last year. That is near the recent low mark of just under 3 percent which came at the end of 2007. Holiday spending this year has likely only compounded the problem. Bankrate.com’s Financial Security Index fell to 99.3 in February, its lowest level since last November 2013 (a number below 100 indicates lower financial security than the previous year0. While two of the five components of the index -- job security and net worth -- are higher than a year ago, two others -- debt and overall financial situation -- dropped into neutral territory this month. The Index also showed Americans’ comfort levels with their savings, consistently the most reliable indicator of financial security, dropped to its lowest point in a year. Those who are less comfortable with their savings currently outnumber those who are more comfortable by roughly two-to-one. These findings are supported by a study from Corporation for Enterprise Development released last month. It found that 44 percent of households in the United States are “liquid asset poor,” meaning they have less than three months’ worth of savings.